THE INTERNATIONAL GUITAR NIGHT (IGN) is the world’s premier touring guitar festival, each show bringing together the most interesting and innovative acoustic guitarists to exchange musical ideas in a public concert setting. For each tour, IGN founder Brian Gore brings together a new cast of guitar luminaries for special evenings of solos, duets, and quartets that highlight the dexterity and diversity within the world of acoustic guitar. Brian founded IGN in 1995 as a forum for the world’s finest guitarists/composers to play their latest original songs and share musical ideas and talent with their peers. 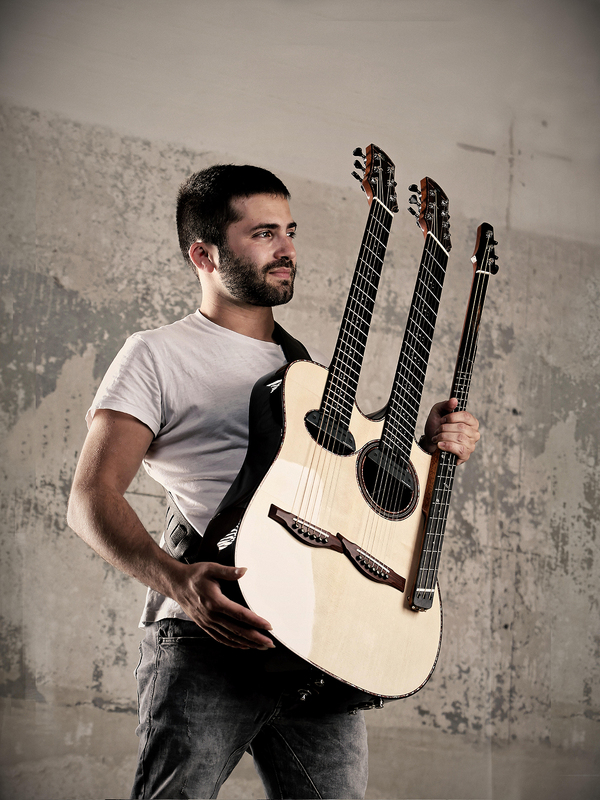 After thrilling Bankhead audiences in 2017 with his showmanship, precision performance, and arrangements of heavy-metal songs, Italy’s innovative contemporary guitarist Luca Stricagnoli will return as host for International Guitar Night. Founded by renowned Bay Area guitarist Brian Gore, IGN is now in its 18th year of touring. This unique and intimate annual event serves as a showcase for remarkable acoustic guitar talent from around the world. Joining Stricagnoli will be French Swing sensation Antoine Boyer, Flamenco master Samuelito, and Turkish fretless guitarist Cenk Erdogan. All four will present their latest works then perform together, sharing musical ideas through creative collaboration and exploring the diversity of the acoustic guitar world.